The Saturday morning ride included a couple of extra special aspects today. First, good friend, Terry England, came out to my house to join in on the fun. 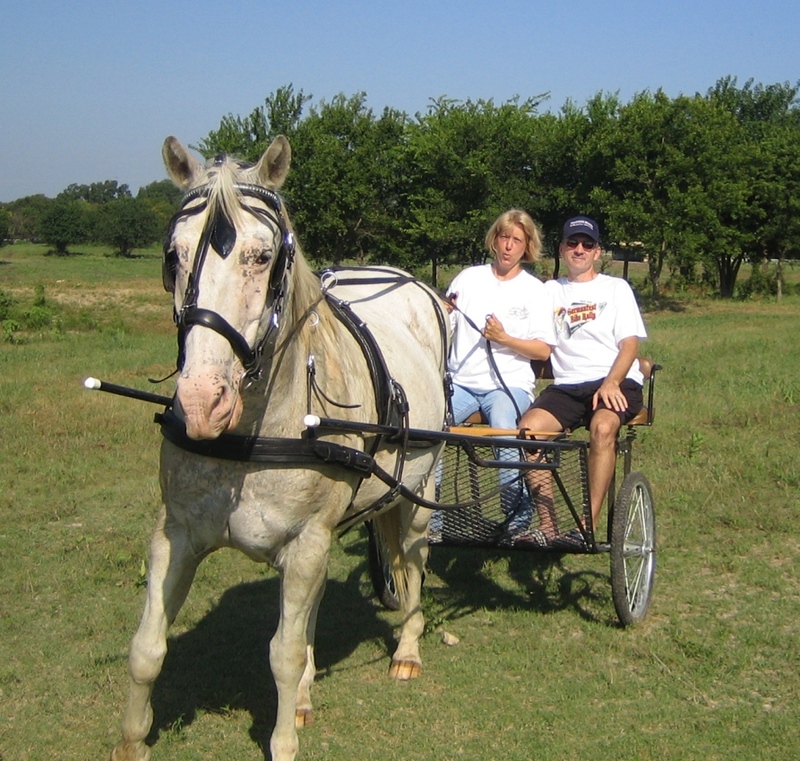 Terry is a spiritually-minded man and has a family we’ve come to love in our short time up in north Texas. The second thing that made the ride special was a surprise invitation. More on that in a moment. 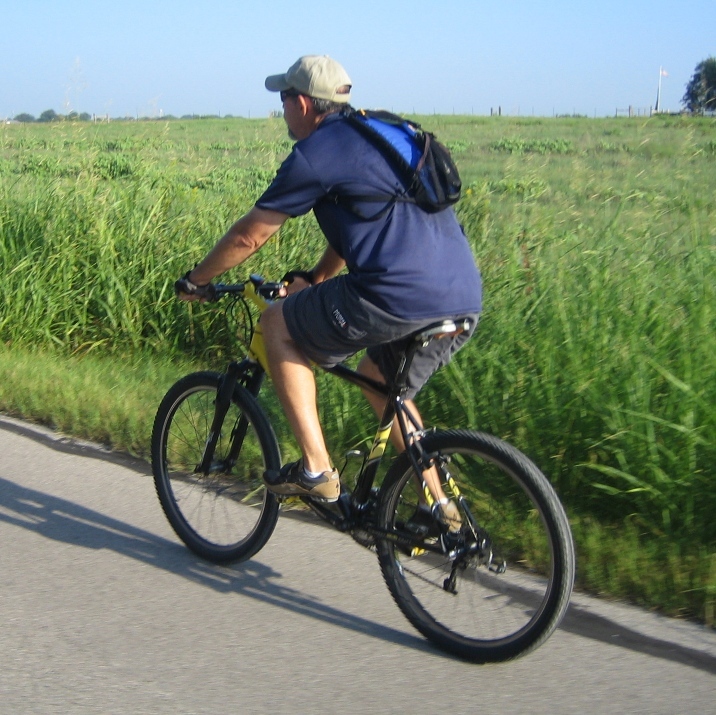 Terry came by around 7:00 am and the plan was to ride the 13-mile loop. We figured on a conversational pace and it worked out nicely. I kept pestering him with questions so he’d be forced to talk (instead of pedal fast) and maintain a comfortable pace for me. 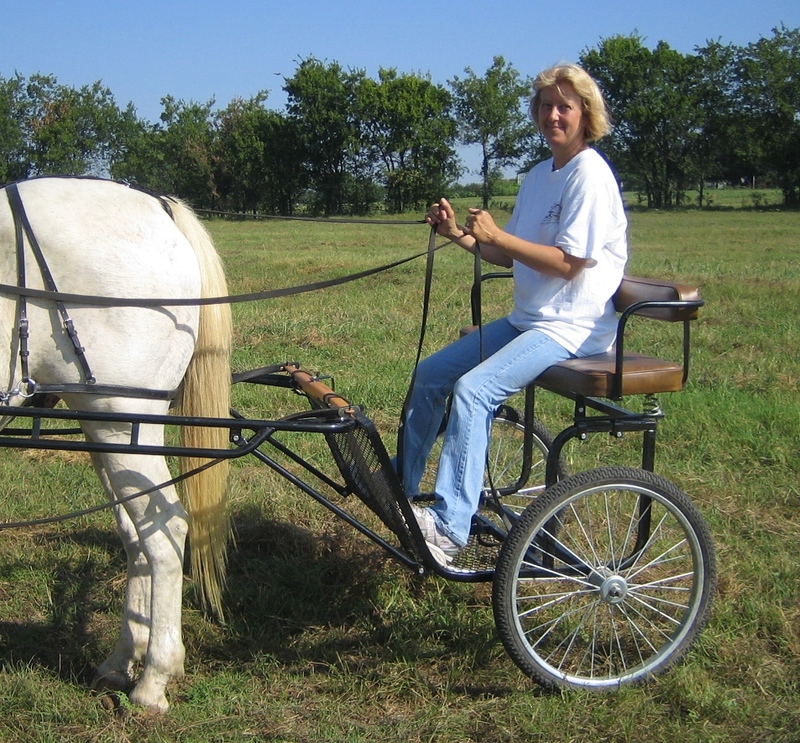 Within minutes, the man had her driving the thing all over the pasture. The horse, Sparky, has an interesting story. Due to being blind enough to walk into fences, his life was almost ended. 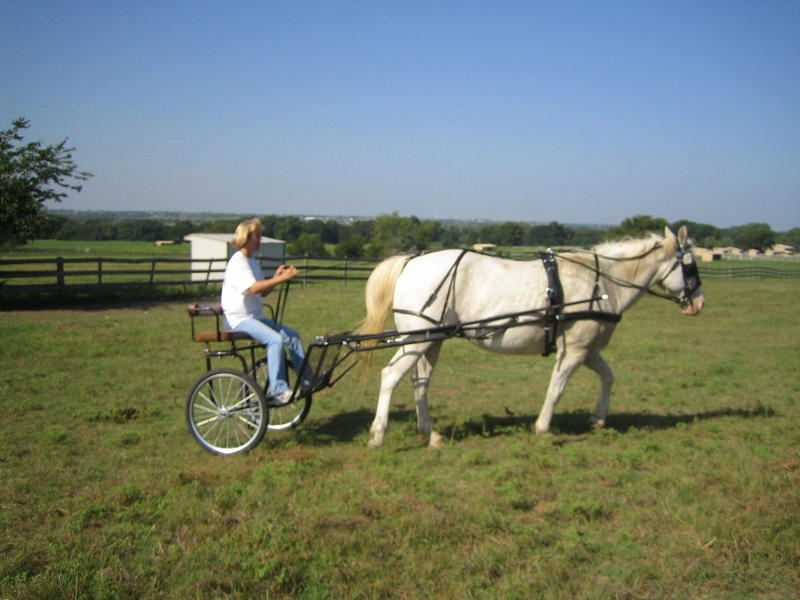 However, since he is so gentle, he was given a chance at cart pulling work. The owner explained because of Sparky’s blindness, he has no trouble trusting the cart driver and readily follows instructions.